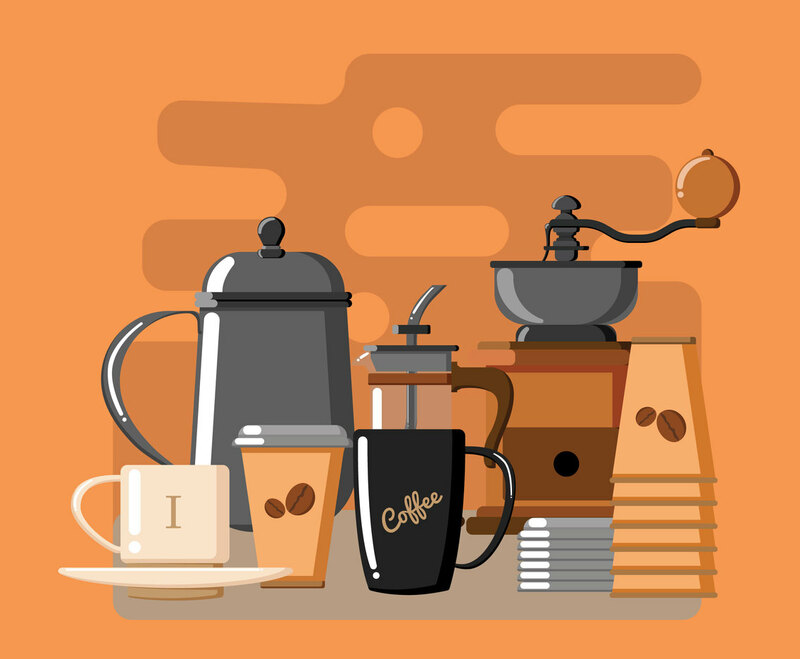 Here is vector illustration of coffee appliances. You'll have several coffee cups, coffee mug, coffeemaker set, coffee grinder, and a kettle. You can use them very easy to make coffee related infography or as design element print for your cafe business.